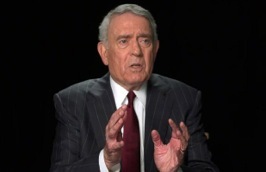 A candid Dan Rather on his new assassination special, "airbrushing" him out of CBS News' history and the difference between Benghazi and "Memogate"
Dan Rather reporting: present-day and 50 years ago in Dallas. Dan Rather and Dallas. They became inseparable in November 1963, even if CBS News keeps filing for divorce. The network’s initial publicity release on its plans for this month’s 50th anniversary coverage of President Kennedy’s assassination made news by making no mention of Rather, who wasn’t invited to participate. After the fact, CBS said that clips of Rather’s reporting would be used, even if he won’t be. 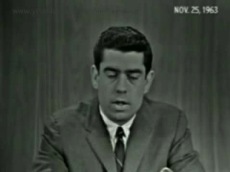 His fallback position is My Days in Dallas: A Remembrance with Dan Rather. The one-hour special premieres Monday, Nov. 18th at 7 p.m. central on AXS TV (formerly HDNet). CBS’ treatment of Rather is not entirely surprising. His unsuccessful $70 million breach of contract suit against CBS has made him pretty much a non-person at the network that made him famous. The suit alleged he had been made a “scapegoat” in the aftermath of a Sept. 8, 2004 story questioning George W. Bush’s service in the Texas Air National Guard. Rather subsequently apologized on-air after documents used in the 60 Minutes Wednesday story were called into question. It all became known as “Memogate,” with a subsequent in-house CBS investigation lashing Rather and other contributors for their “myopic zeal” in putting the story together. Rather, now 82, has soldiered on and arguably is in a much better place after leaving CBS News in June 2006. Some might see AXS TV as the hinterlands. But it also can be viewed as a Sherwood Forest from which an exiled anchor/correspondent has been emboldened to do some of his best work on the weekly Dan Rather Reports, which premiered in November 2006. His boss is Dallas Mavericks owner and Shark Tank star Mark Cuban, who unflinchingly hired Rather when many considered him radioactive. Cuban since has given him “complete, total creative and editorial control,” Rather says. My Days In Dallas is in large part a personal memoir with the added goal of providing “context and historical perspective to not just the assassination but to the time and place in which it happened,” Rather says. Initially assigned to coordinate President Kennedy’s visit to Dallas -- White House correspondent Robert Pierpoint was to be the on-camera reporter -- Rather had been waiting for a film bag drop just beyond the motorcade route when the presidential limousine “sped past in a blur.” The resultant scene in Dealey Plaza “was a shock to me,” he recalls. His next steps were a feverish run back to the studios of CBS affiliate KRLD-TV (which later became KDFW). The next four days provided one shock wave after another, with Rather making his mark as CBS’ principal on-camera correspondent after Pierpoint was sent back to Washington. He went on to fame, fortune and finally no small degree of infamy at CBS News, which lately has its hands full with a 60 Minutes Benghazi investigation that went badly awry and led to two on-air apologies by correspondent Lara Logan. CBS had to admit that its chief source for the story, security contractor Dylan Davies, had misled if not outright duped the network. An in-house “journalistic review” is now underway. Sound familiar? Asked to compare and contrast, Rather is adamant about one thing.